Summer has turned well into fall. I quit my job a bit ago, so really it seems straight up shameful to not be writing a few of these while I have the time. Let’s presume that soon enough I’ll be back to being a busy-bee, so, might as well do some of these 🙂 Anyway, happy Thanksgiving to you all! I can easily say that this in-administration documentation was easily some of the more fascinating bits. 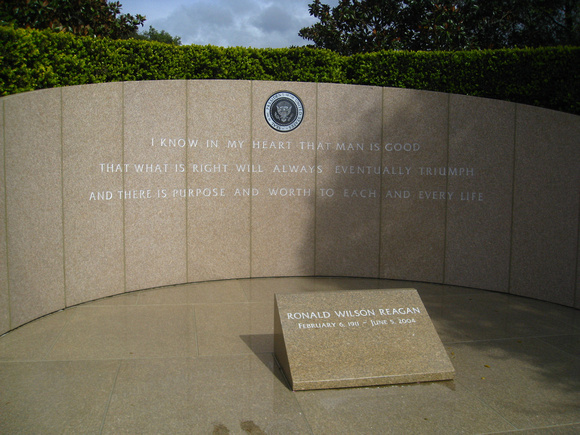 All of the text arguing about how cool Reagan was, well, whatever. 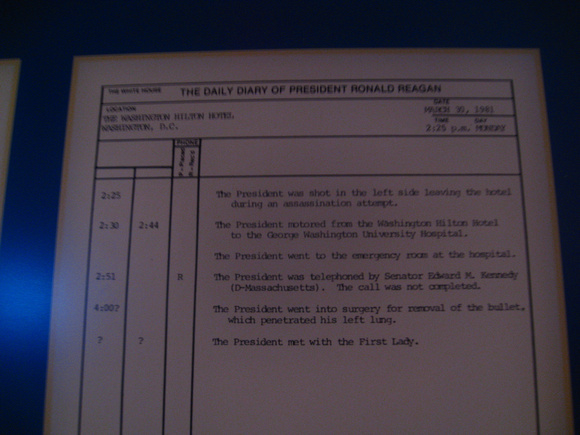 But he was there for a lot of history, and seeing a lot of that minutiae was really cool. 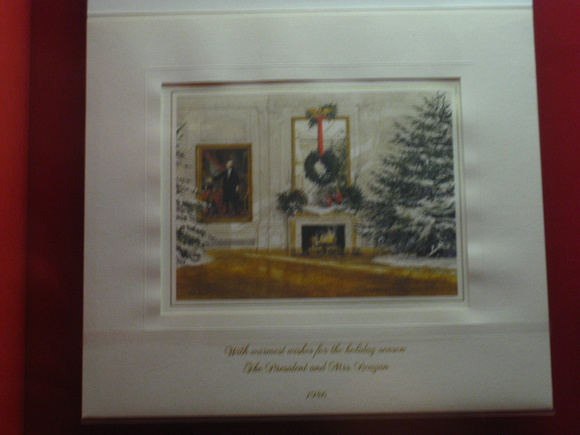 And the holiday card, fine, there is a tree and a wreath, but it sure didn’t say Merry Christmas, so all those people should just cool their jets. It’s like the man is right there with you. 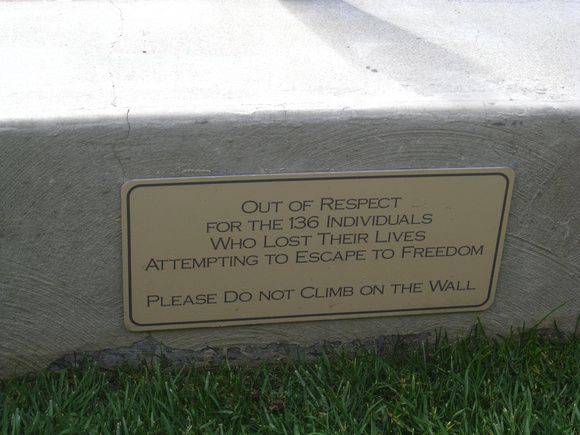 This was right outside the replica of Reagan’s oval office. Yes, I’m possibly dressed like a slob. Victory! This was also pretty awesome. 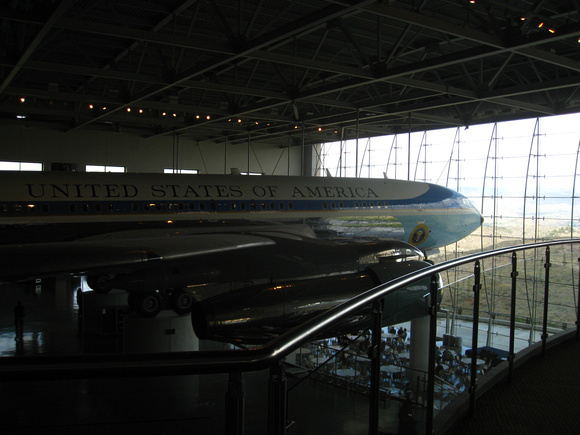 They have Air Force One from that era (used by Nixon in 72 through to GWB in August 2001, though it was backup from 1990 onwards), and it’s in , well, a giant room that is big enough for a Boeing 707. That’s a big room. The big space you can see down below it can be rented out for parties, which, in face, they were setting up for that evening. You could also board the plane and see it decked out in 80s era setup. 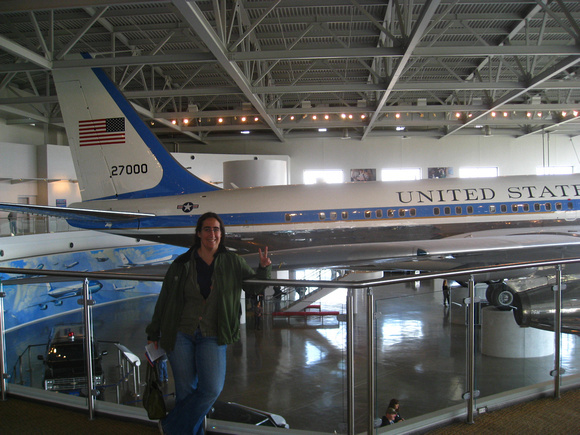 You could get a lot more work done on a plane like that, one imagines. 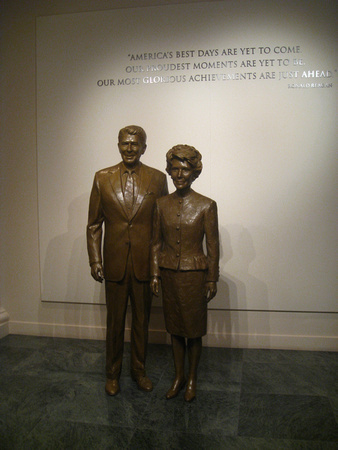 I did not get a photo (or at least one that I kept) of Reagan’s giant collection of belt buckles. 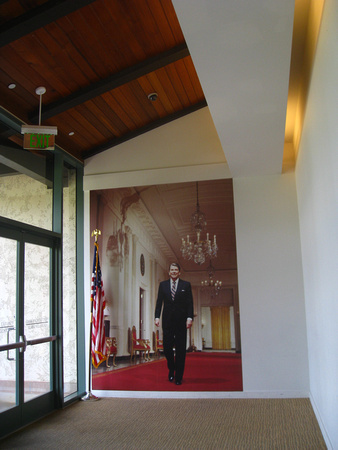 Apparently he quite liked these, so he got them as gifts from everyone – anyone visiting, more or less, during his presidency, from various friends and so on, and there were a *lot* of them. The display in the museum had only a fraction of those he owned, and it was still kind of a baffling number of them. Inside there is a large Cold War exhibit. It’s…hrm, it has a viewpoint, though also fairly informative. Outside, however, there is this piece of the wall, which I found to be good cause for reflection. I remember it being a big deal when it happened, but at that age I was, it was more a mythic thing. The wall fell! But here I felt like I could connect with it in some tangible way.